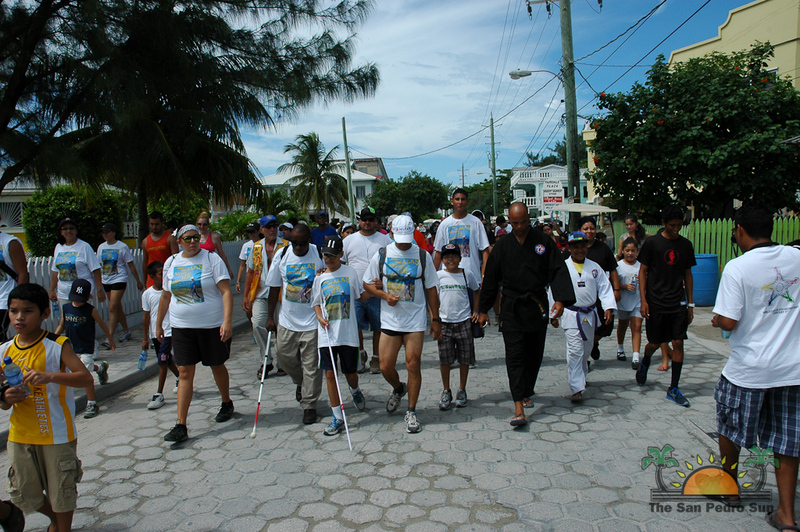 Close to 150 islanders joined inspirational 14-year-old Rowan Garel in his walk across San Pedro on Saturday August 25th. 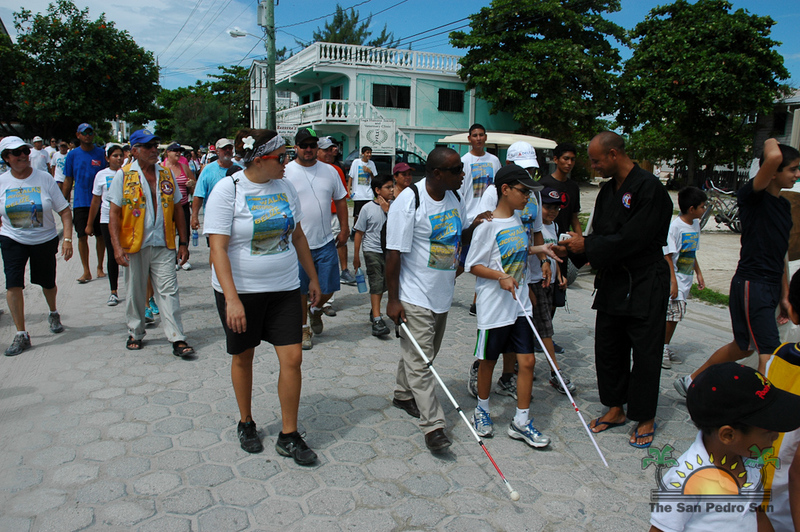 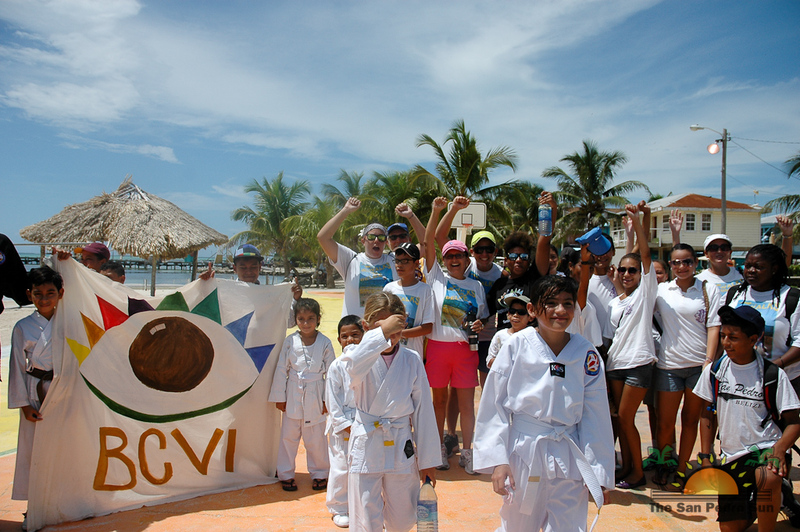 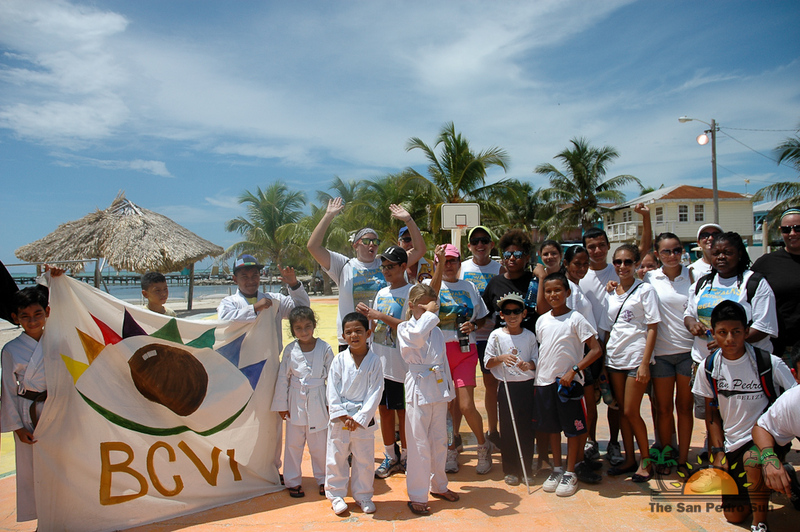 The event was the second of two planned walks in an effort to raise monies for the Belize Council for the Visually Impaired (BCVI). 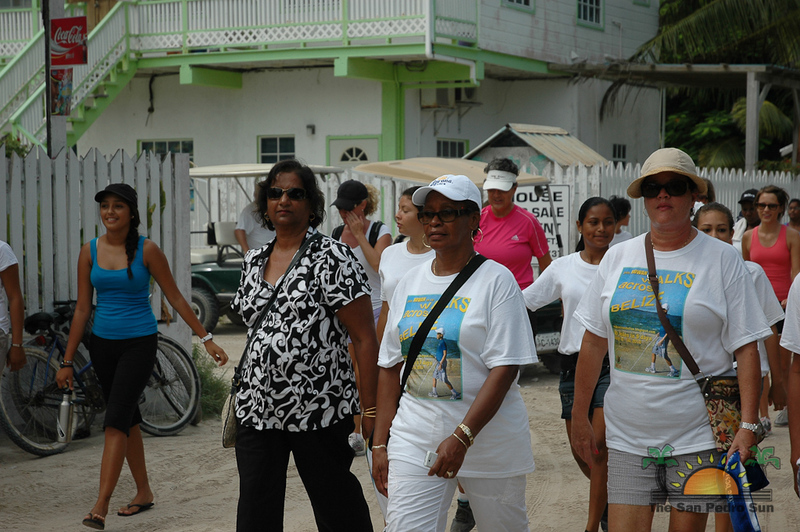 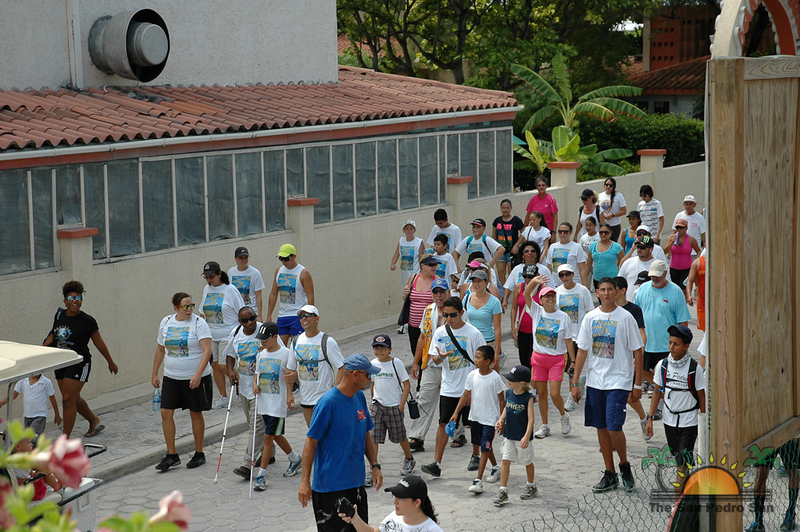 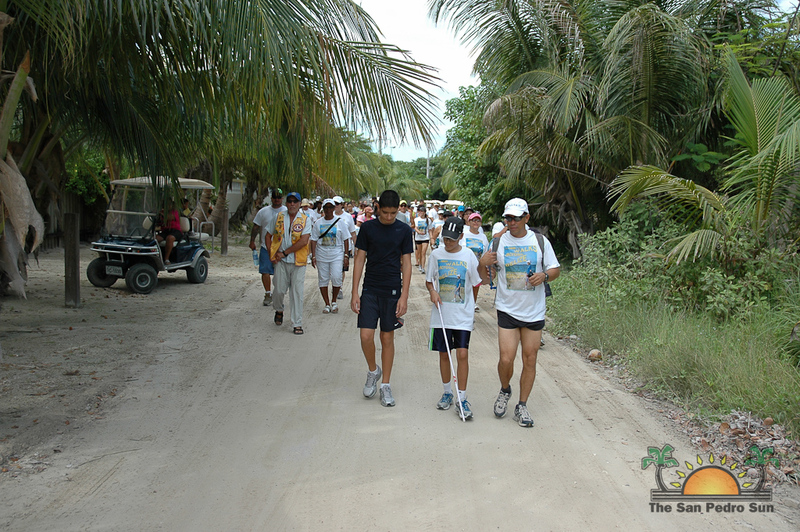 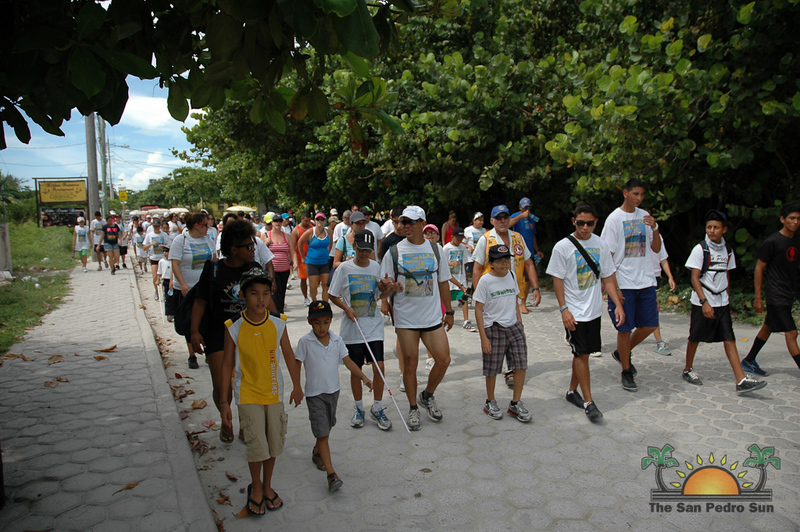 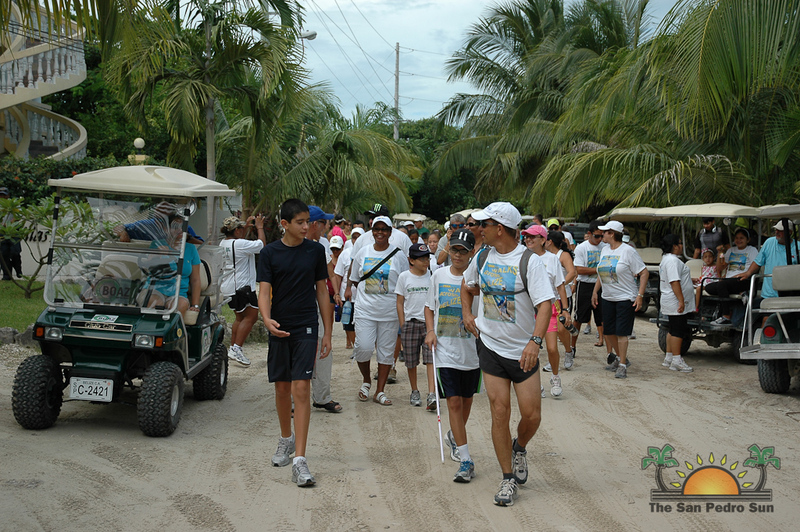 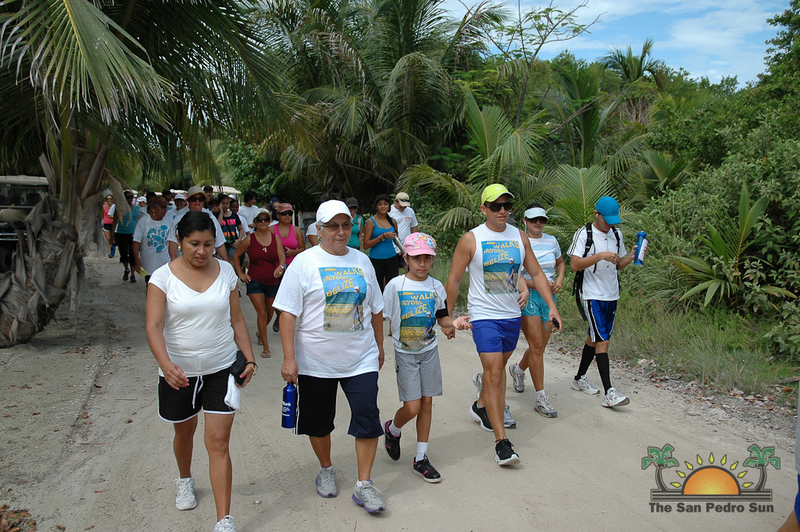 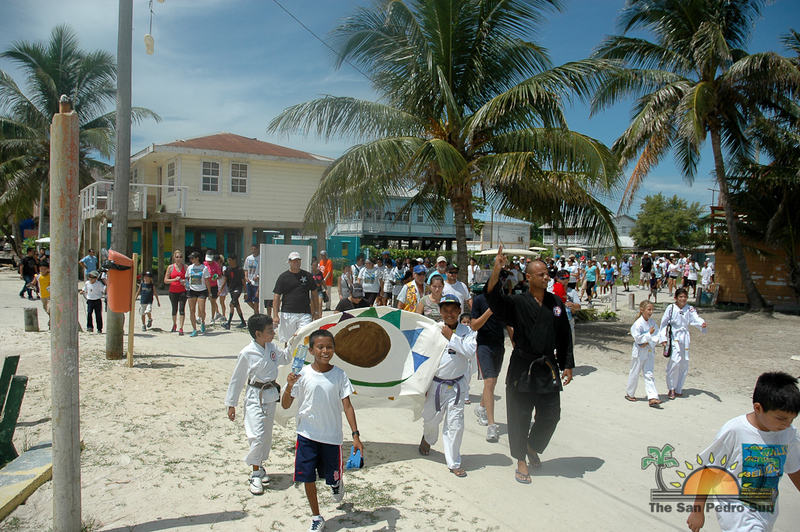 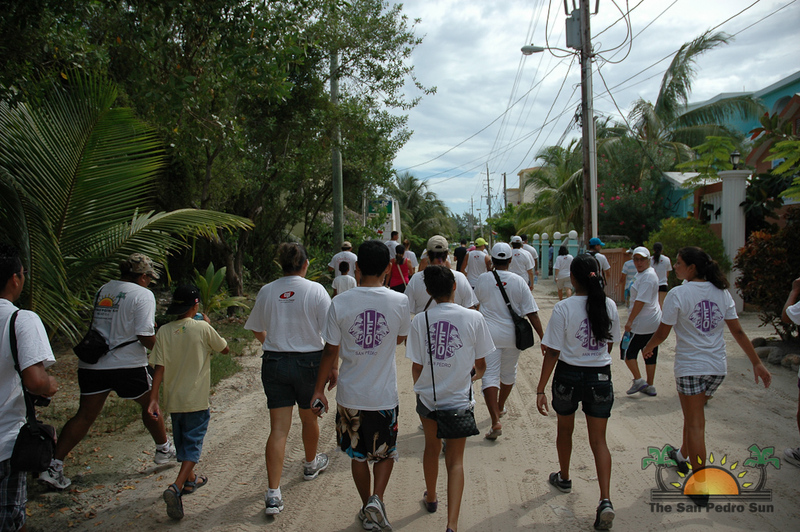 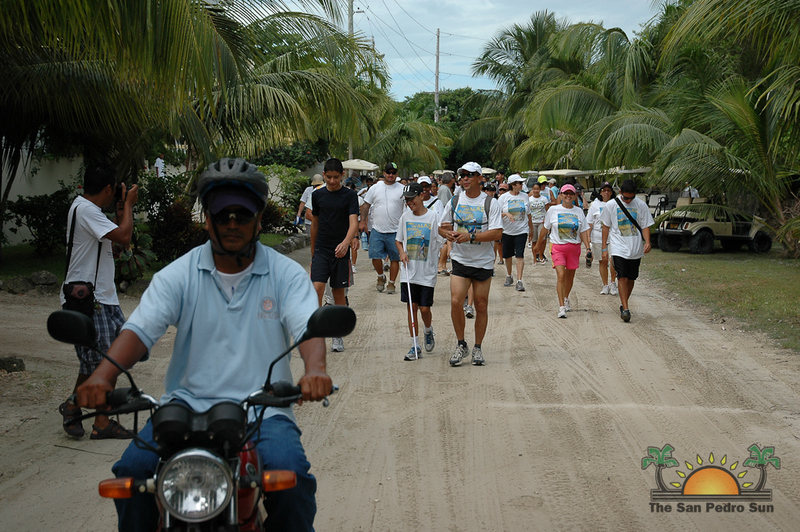 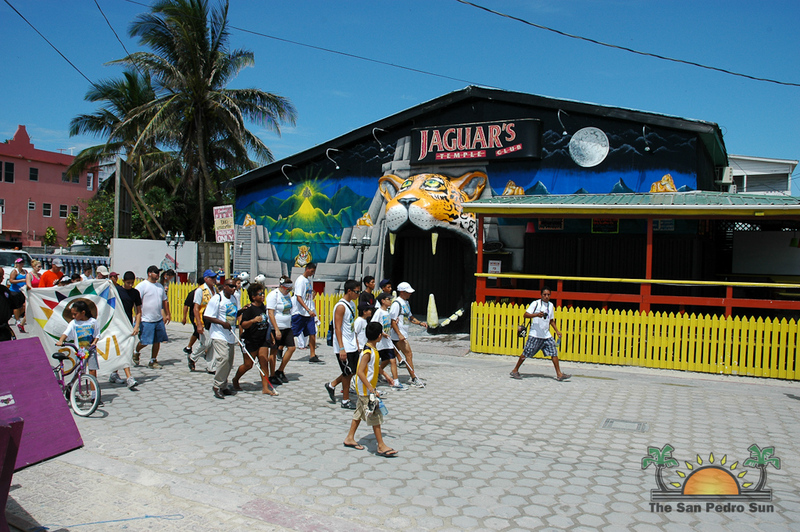 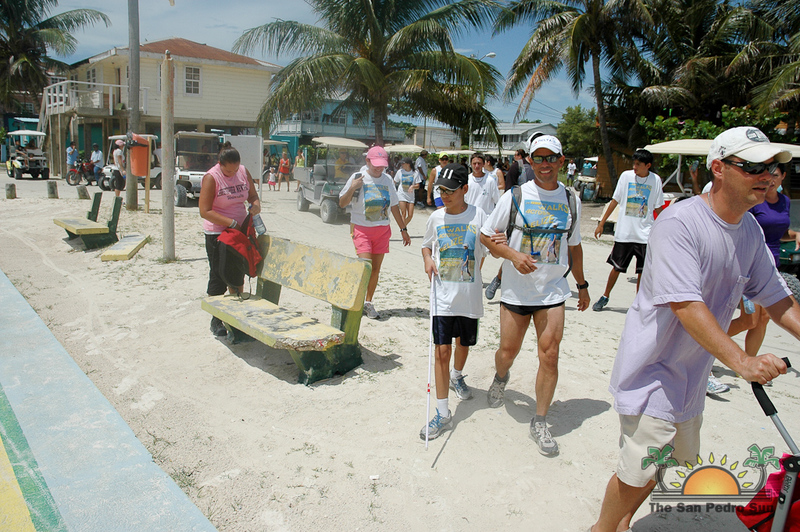 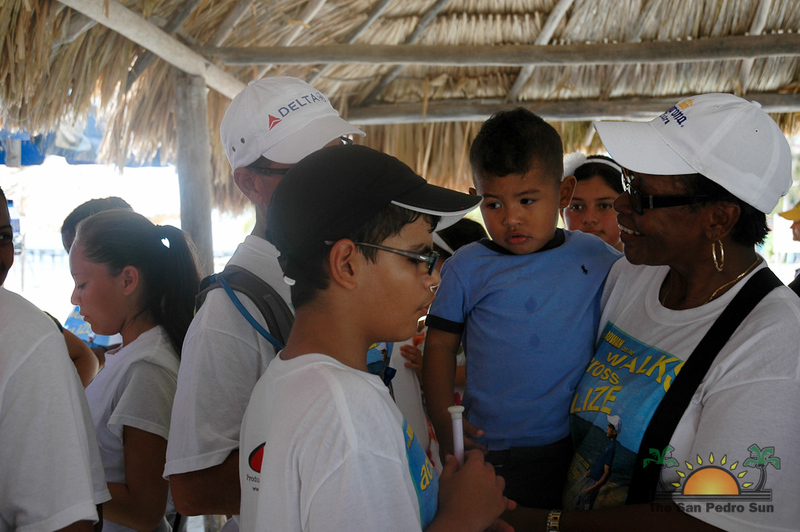 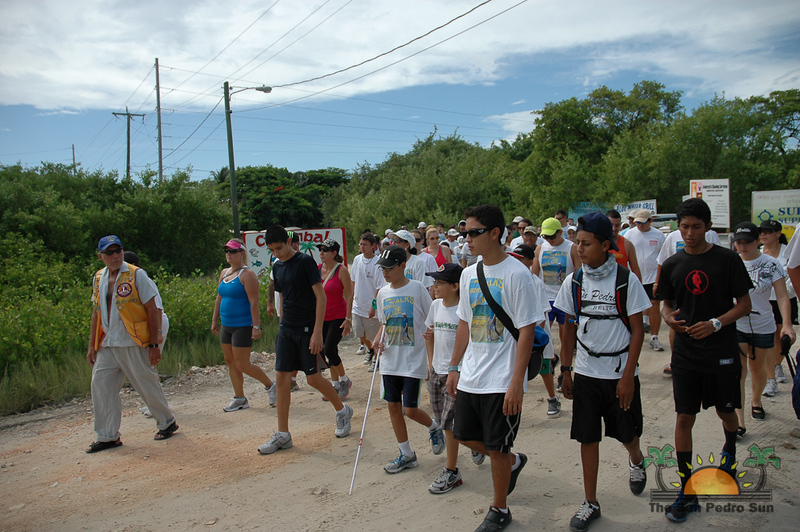 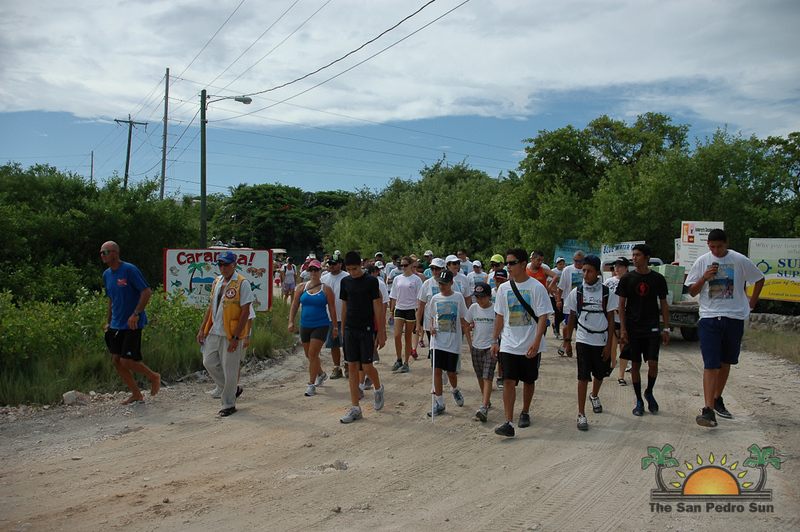 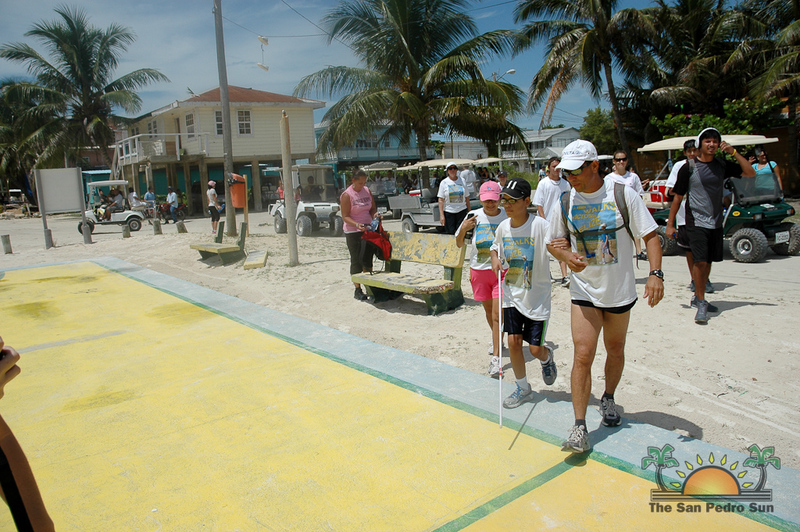 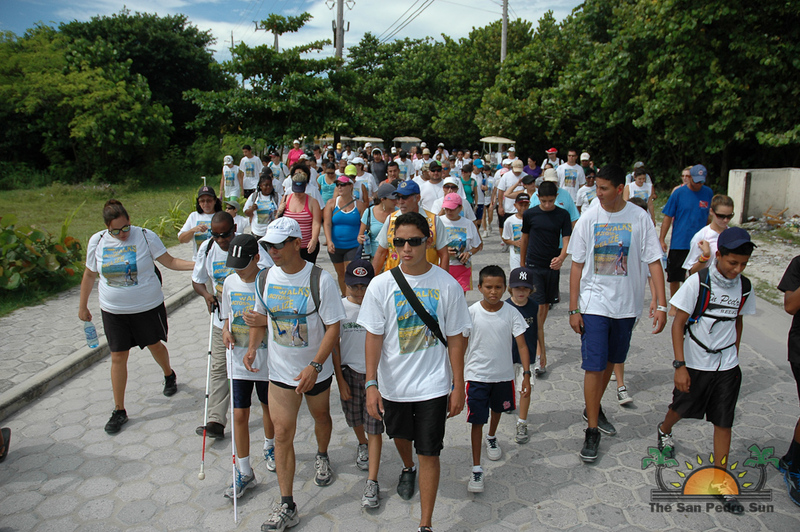 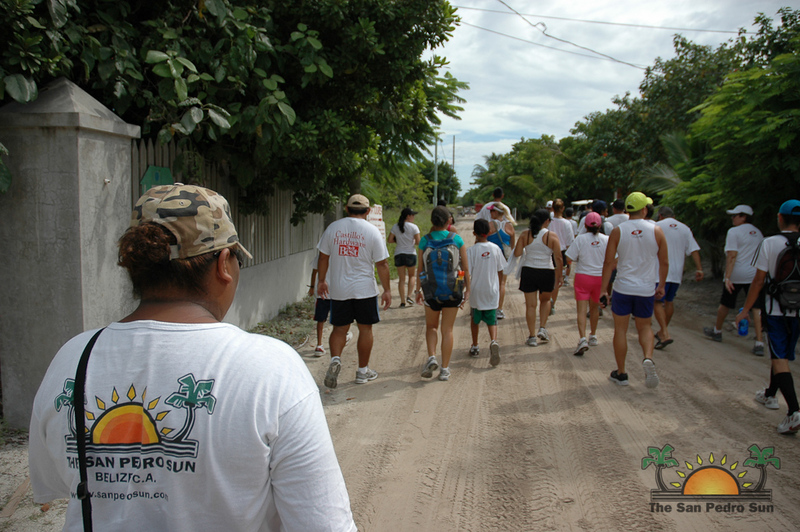 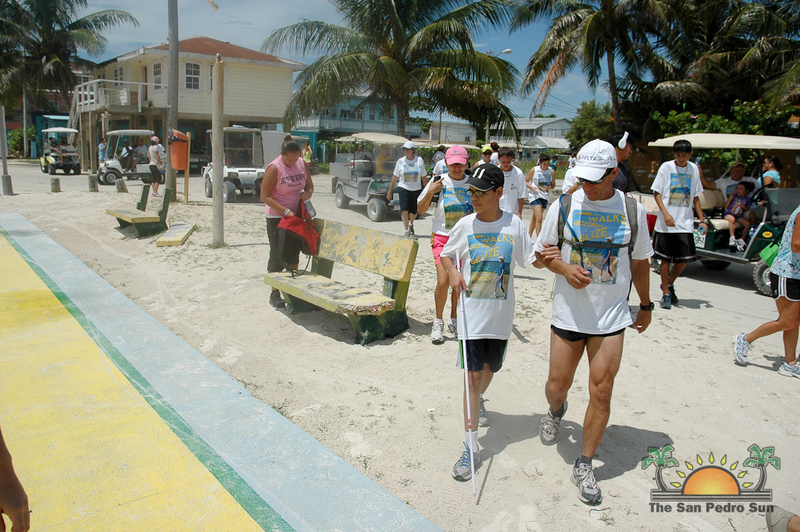 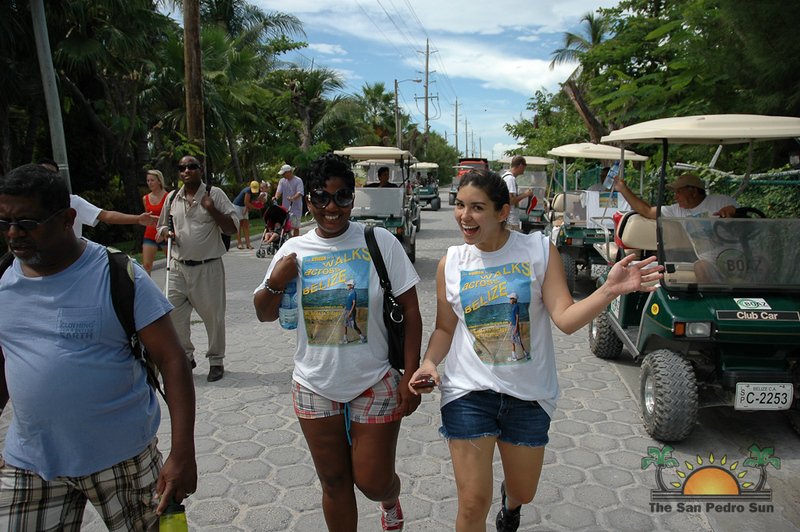 The five-mile walk took off shortly after 9AM from the southern end of San Pedro Town near Pelican Reef Resort and ended at the Boca Del Rio Park with all day beach party. 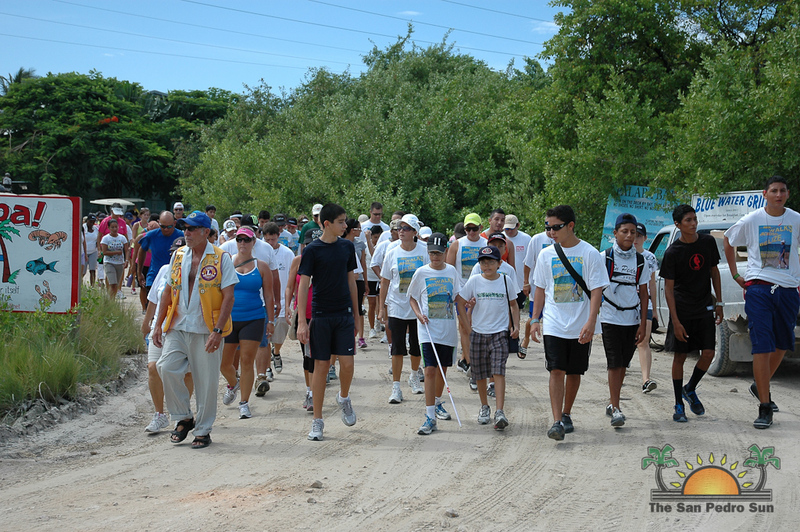 “I am very glad that I did the walk. 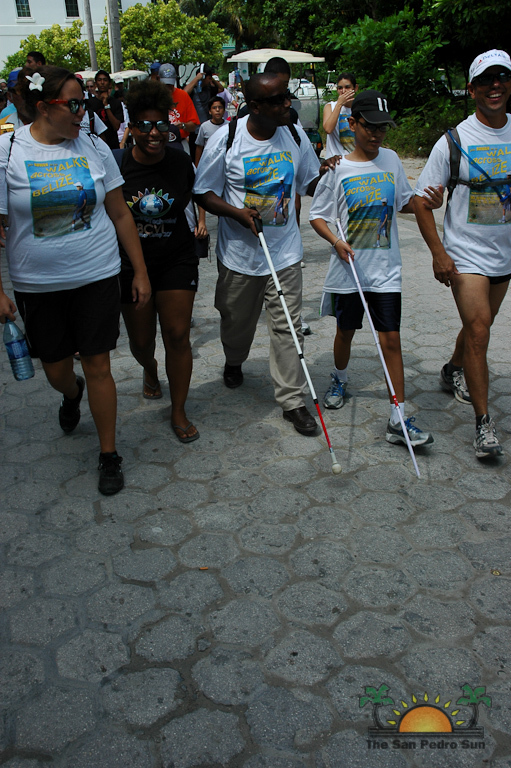 [It was done] as a fundraiser for BCVI. 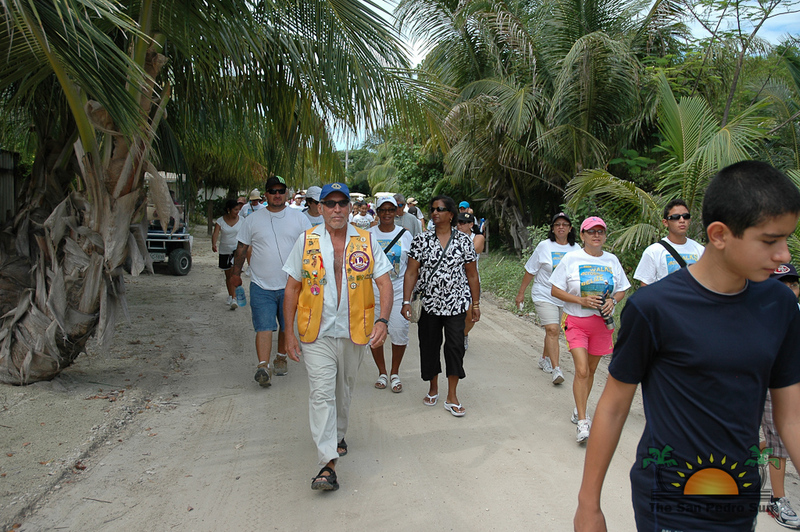 I did the walk across Belize but unfortunately we were not able to meet our goal of raising $90,000 to $100,000,” explained Rowan. 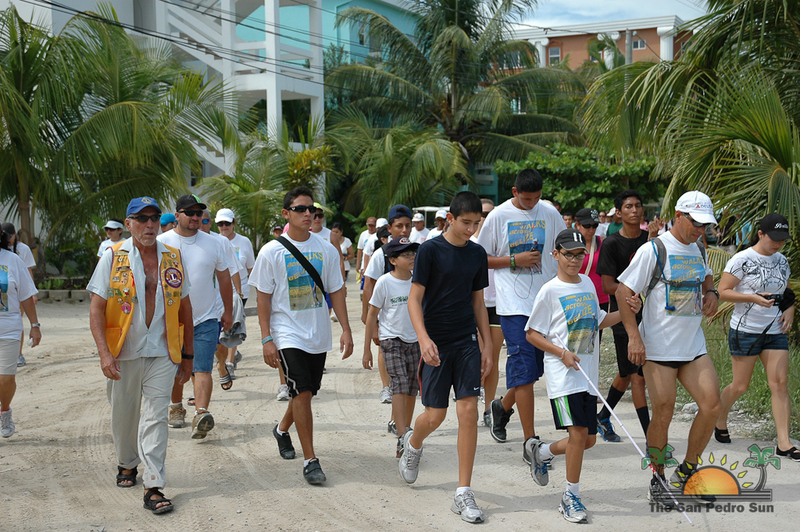 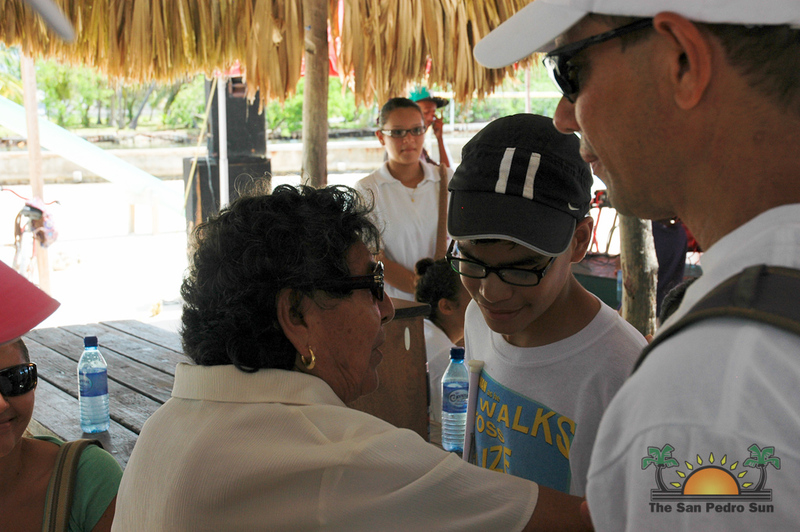 At the Walk Across Belize, Rowan was able to raise some $73,000 and had hoped that with the walk across San Pedro, it could have bridged the gap. 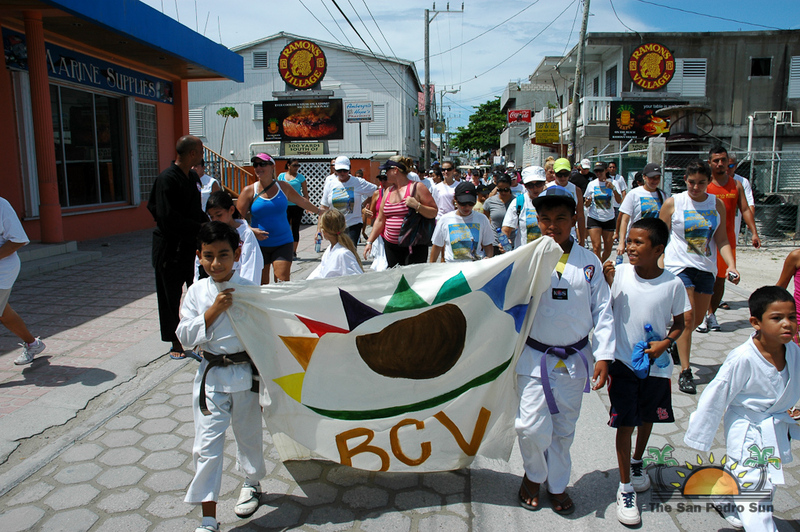 According to BCVI Communications Officer Carla Ayres Musa, they were able to raise $6,895 in cash but are still waiting to collect a few more pledges. 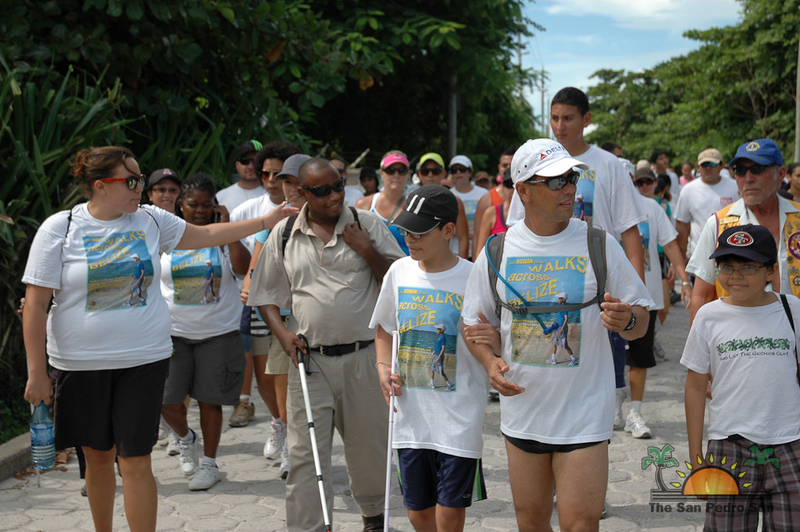 So far Rowan has collected a total of $80,641. 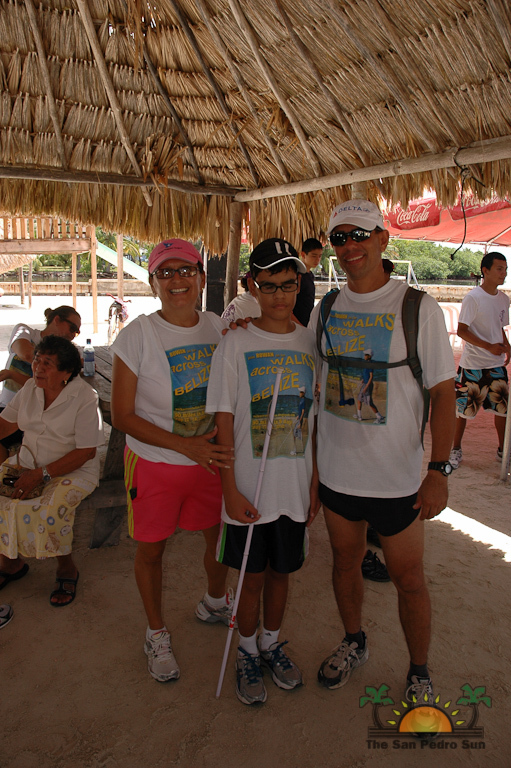 Musa told The San Pedro Sun that they hope to reach their goal before the end of the year and remain confident that within the next few months they will host more fundraisers which will be able to reach their targeted $100,000. 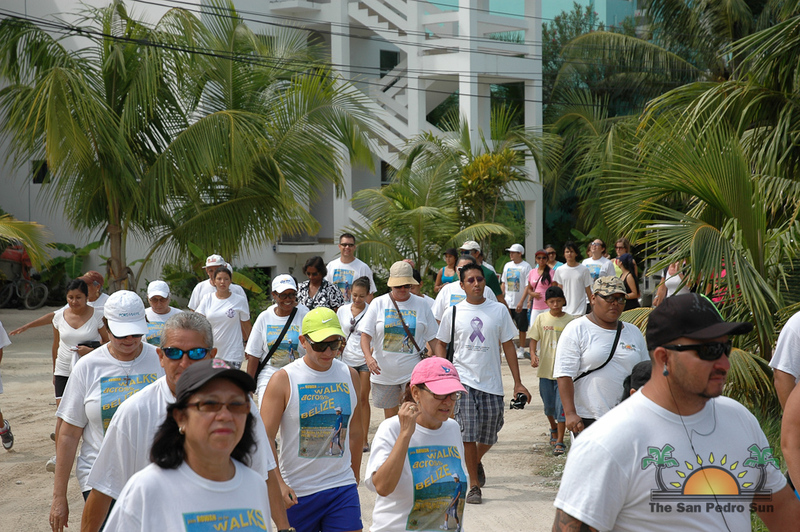 The islanders came out in large numbers; from the Lions’ Club and the Cancer Society members to regular residents, walkers came out in support of Rowan’s effort. 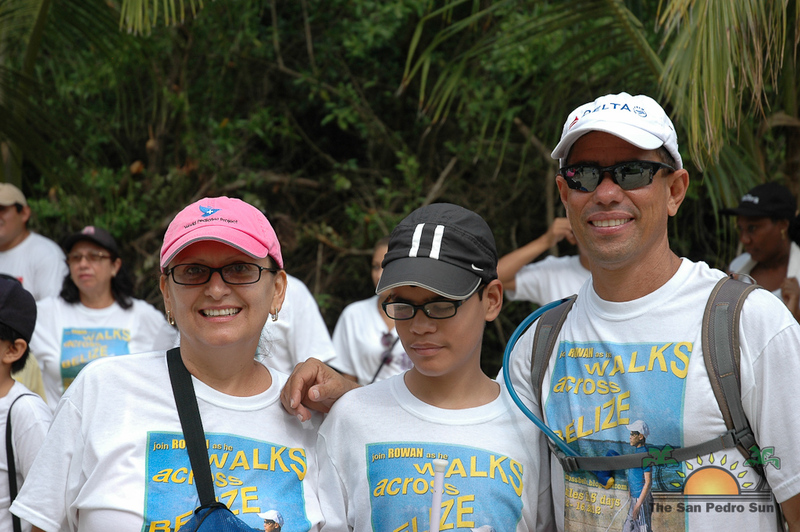 “I want to take the opportunity to thank all those people who supported me in this walk,” said Rowan who is already planning on another event to rise funds next year for BCVI. 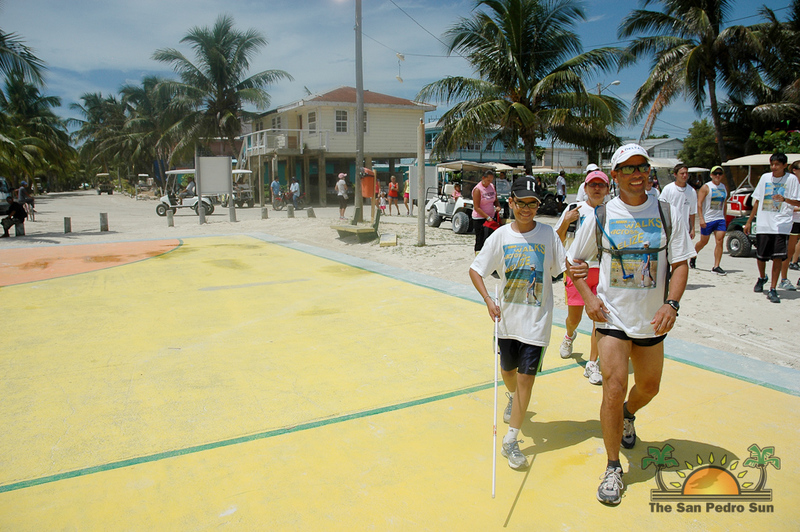 Rowan was able to complete the walk across San Pedro in one hour and 23 minutes. 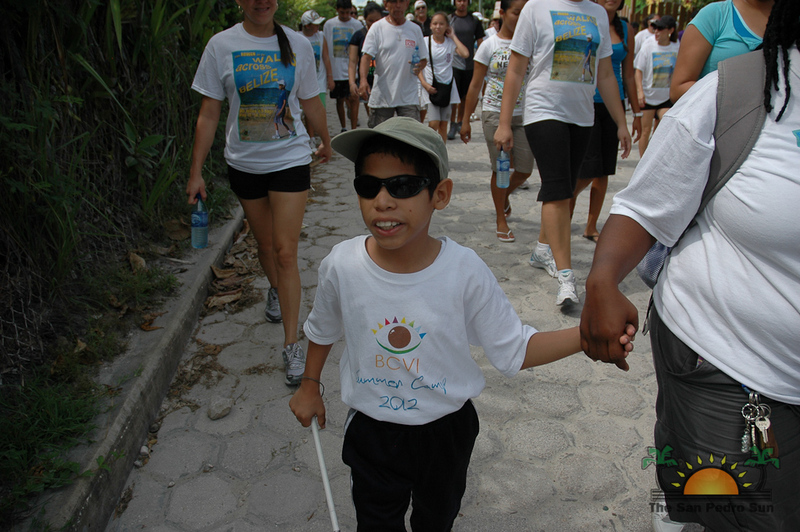 Individuals and business can make donations to the Rowan Garel’s effort by depositing contributions to the BCVI Belize Bank account number 71096. 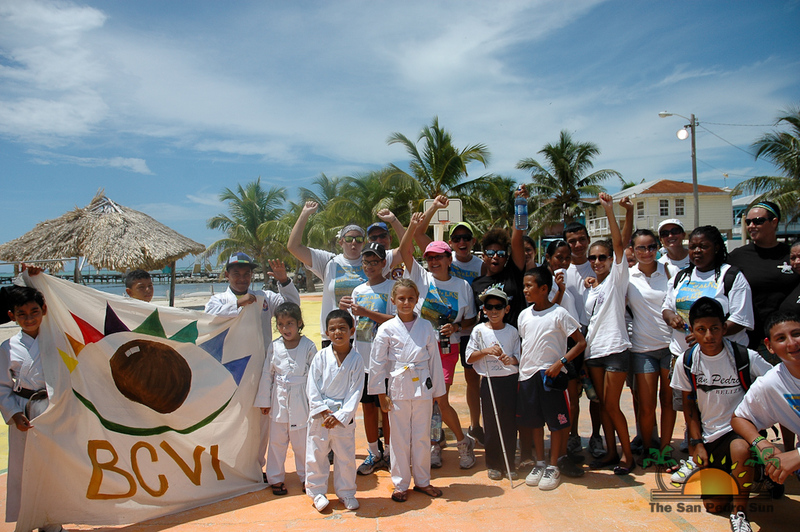 Foreign donors can do so online at bcvi.org/help.html. 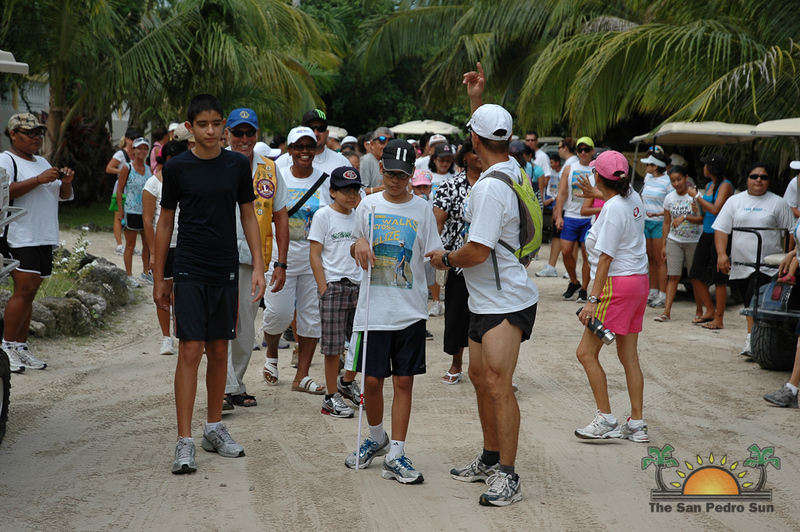 Rowan Garel, who climbed the Victoria Peak last year, is contemplating to participate in the La Ruta Maya River Challenge next year.